This summer, I had the opportunity to work on floor 58 of the U.S. Steel Tower. I was placed in the Enterprise Accounting department with much of my work focusing on a drug cost analysis project. One of the greatest skills I’ve learned here is time management! I’ve learned that managing your time at the workplace is quite a bit different than managing your time at college. As a Summer Associate, you have 40 hours a week to make the most of your internship experience. That’s only 40 hours to network, complete your projects, complete daily tasks, sit in on meetings, and learn as much as possible. For many, the key to time management is organization and note-taking. While those strategies work well, I’ve personally found that attitude is the most important thing in successfully managing my time. I stress the importance of attitude because the only constant facet of life seems to be change. You can organize and plan your day down to the very minute, but there’s always going to be change that needs to be factored in. With a good attitude, however, these changes become opportunities! As a Summer Associate, I was given various weekly duties on top of summer-long projects and unexpected assignments. While this scope of work can be stressful with only 40 hours to complete it, a positive attitude helped me realize the opportunity and value in change. Part of being successful at any organization is showing how well you act under pressure. So with a great attitude and outlook on your internship experience, you can get a whole lot more out of those 40 hours. That being said, I did take a lot of notes and tried to organize as much as I could. Specific to UPMC, Microsoft Outlook is a huge part of the organizational structure. Staying on top of meetings and appointments with Outlook really helps to keep you organized. I’ve also found it extremely useful for networking. You can send invites to coffee or lunch meetings right through Outlook’s calendar. Also, carrying a notepad around with you is a must. You never know when you’re going to run into someone or be given important information. Ultimately, your success at UPMC, or any organization for that matter, directly relates to the effort you put in and the attitude you adopt. 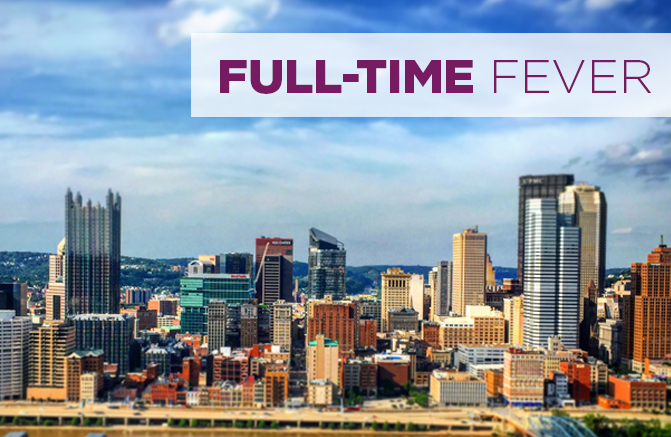 The short time that I’ve been able to spend here with UPMC really has been one of the most productive and exciting times of my life. It truly goes by fast, so be sure to make the most of it!